The challenges of living in a slum community haven’t stopped Jane Anyango from achieving remarkable things. 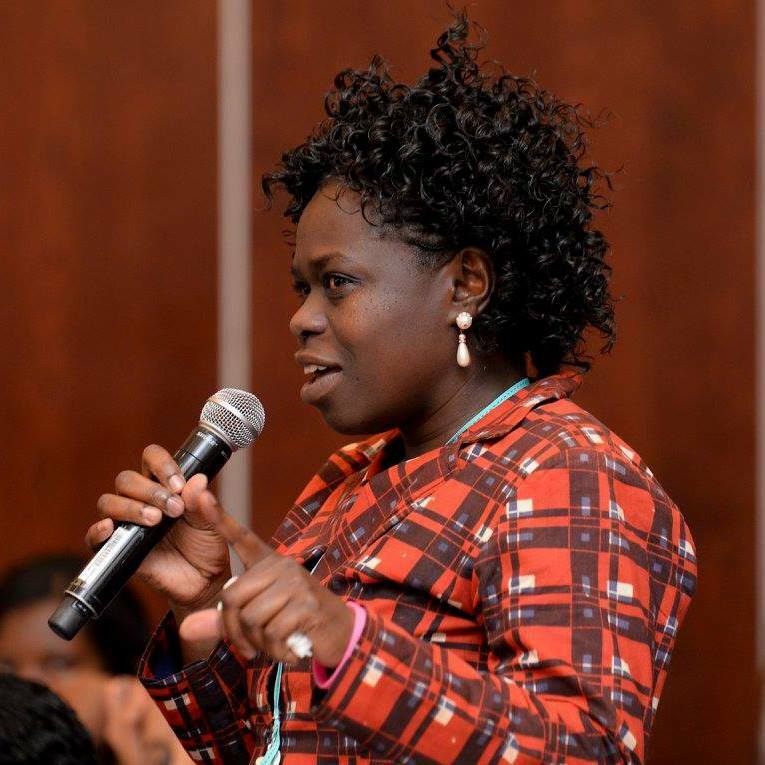 In addition to being a mother of four, she is the founder two organizations, Kibera Women for Peace and Fairness and the Polycom Development Project, as well as a recipient of the Community Peace-Builder Award and the Outstanding Leadership Award. 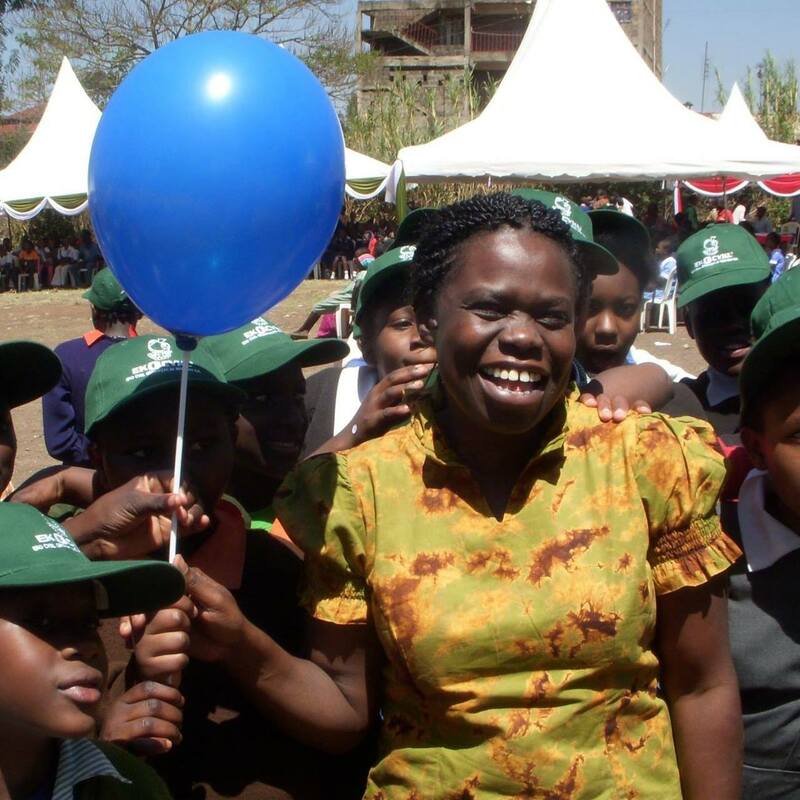 Jane gave Women and Girls Lead – Kenya a glimpse into her leadership journey. What has living in Kibera slum been like for you? I came to Kibera in 1989, after I got married. It was very challenging when I first moved here. I was raised in a village with free space that was not as overcrowded as it is here. Kibera is cosmopolitan, so living with people from different communities was hard, but I have adapted. It has not been easy, but I have always believed that I can bring change to the community, and that is what I am doing. What led you to start the projects you started? In 2004, I started a welfare organization for young girls. When I started it, it was not an established organization, but more of a response to an issue in the community. Young girls were having sexual relationships with older men. So I started bringing girls together to help them understand their bodies and why they should take care of themselves. I also started working with women in 2008. It was done in response to the death of a young girl who was killed by the police during the Post Elections Violence (PEV). This is a girl I knew through my welfare organization. It hurt me to imagine that a young girl who did not have a vote could be killed. So I mobilized women to hold a protest. After, we decided to stay together to promote positive ethnicity, which we are still doing to date. I work across Nairobi, trying to mobilize women from other informal settlements. Do your organizations mentor other women to become leaders? My welfare organization, Polycom, is currently run by young women. We have mentored these young ladies for a very long time, and now that they have grown up, they are able to mentor others. We want the leaders of this organization to be less than 25 years old. Have any of them taken up leadership? Yes, we have women who are trying to venture into politics, but they still have a long way to go. Our political parties are led by men, and it is about sycophancy. We are trying to change things on the ground; that’s why I am looking for more participants in the organization. When we have more participants, we will have a louder voice. Through this direction, I believe we will have more women as leaders. Your group has many women and you also cover all areas in Kibera, meaning you have the numbers and if you come together you can elect a woman as an MCA. Why haven’t you done so? In 2013, we had a very powerful woman who had been in politics for a long time. We strongly supported her, but in Kenya, people vote for political parties and not individual candidates. This is one issue that we are trying to work on; informing women that they must vote for a person, and not just their parties. Still, if we do not have political goodwill, I do not think we will get women in political leadership roles; it is a national problem, not a Kibera problem. What are you doing to rectify the situation? Currently, I am working with 200 women. If each of them gets 10 more women to join, we would have 2,000 people, which is a good number. 2,000 women sitting in one place, telling the men, we will not listen to you, and we will not vote for you. I am sure they will listen to us then, and then we can have a better bargaining power as women. I believe we are getting somewhere. You have worked with women and girls for more than 10 years; what are their main challenges that can hinder them from seeking leadership positions? With regards to poverty or education standards, people have taught us to look down upon ourselves. It starts with you, it starts with your own confidence to go out and say you are a leader. That component is what we are missing. The society looks at the women down here as a crowd. My welfare organization for young girls has a slogan called ‘G pende’, which is about self-appreciation and worthiness. When you appreciate yourself, love yourself, and make your own informed decisions, you do not let someone bring you down. Education is important. What are some of the projects that your organization has for girls to ensure that they get an education? We have a program for girls called “Educate Her”. We mobilize resources for post-primary education for girls from poor families who are willing to continue with their education. We hold a lot of “speak up” forums too, to boost girls’ self-esteem. The Talking Box project (an initiative that allows girls to write and submit concerns anonymously to teachers or parents) started 10 years ago. Why did you start it? What are some of the achievements made so far? When I started doing “speak up” forums, I realized I was not reaching as many girls as I wanted to. A one-day forum did not allow enough time for all the girls to speak out. Only the vocal ones speak up, so I thought of a way to share their thoughts when it’s fresh in their minds. We have serious issues coming out of the Talking Box program. It is my dream that we will get proper channels to publish these issues, to let the whole world know what these kids are going through. What is your advice to a woman out there who wants to lead but is afraid? We have a powerful constitution which is for all of us, and the truth is, each one of us has one vote and we all have that right. If you feel you want to go for leadership, just go for it. It is with us right now. This is the time. Things are changing. Do not even think about it, just go for it. What are your future plans as far as your leadership is concerned? My future plans are to mobilize a big movement with the women that will shake the nation. Then, when we go and sit at Uhuru Park and say, “Hey Mr. President we want to see you!”, he comes running. My global dream is to be the grassroots ambassador.